Lagos is the heart of the West African innovation ecosystem. According to the World Bank Nigeria is home to 10 technology incubators. Only South Africa (23) and Kenya (11) hosts more accelerators in Sub-Saharan Africa. Olufunbi Falayi, a startup expert and a co-founder of Passion Incubator, explains why Facebook`s Mark Zuckerberg is so excited about Nigeria and why incubators are vital to creating new enterprises that might be “the next big thing”. blog:subsahara-afrika: Olufunbi, first of all congratulations. You received the prestigious The Future Awards Africa prize, TFAA, in Enterprise Support. What does that award mean to you? Olufunbi Falayi: Thank you very much. The award means that all the work I put in the last four years is real and has been impactful. The goal was to give young people opportunities just like people give me opportunities. The biggest problem for young entrepreneurs is not funding, it is access. Young people just need that right direction. The prize is a validation of all the hard work. blog:subsahara-afrika: The TFAA in Enterprise Support award is given to “a young person who has excelled in running a business or organization whose service or work enhances supports or provides solutions for SMEs“. What kind of support do you provide? Falayi: One of the biggest problems in Africa is infrastructure. We believe that if entrepreneurs don`t have the business infrastructure to strive they would not succeed. So we decided to invest, not just cash, but invest in infrastructural support. In basic things like office space, 24-hour internet access, and power. In Nigeria, we do not have electricity for 24 hours. We decided to create an avenue for entrepreneurs to walk in, where they just focus on their core of their businesses. We provide also access to mentors, to resources, to entrepreneurship training. So that startups can get partnerships with corporates, and that they are funded. blog:subsahara-afrika: Facebook founder and CEO Mark Zuckerberg visited Lagos a couple of weeks ago. Why is he so excited about Nigeria? Falayi: Over the past few years there has been this “Africa rising“. Obviously also because young people in Africa have started to innovate. They have decided to take their fate into their hands realizing that international aid alone won`t solve Africa`s problems. Successes of young startups in Nigeria in the last five years inspired confidence. Marc Zuckerberg invested in a startup called Andela. It has been set up by my friend Iyinoluwa Aboyeji. What the startup does is it empowers young people. Youth unemployment in Nigeria is over 40 Percent. That`s huge. The Nigerian education system doesn`t really prepare you for entrepreneurship. Andela takes computer science students and places them into a four-year-programme, centered on a curriculum of both technical and business courses. Each student is also a full-time developer at a tech company in the U.S., where they work in real-time and earn foreign currency. I think Mark Zuckerberg saw the opportunity and the talent in Nigeria. And that`s why he invested 24 Million U.S. Dollar. Additional, in Nigeria, there are 16 million monthly active Facebook users, which represent one of the biggest market for Mark Zuckerberg; hence his visit. blog:subsahara-afrika: What is the DNA of the Nigerian tech ecosystem? Falayi: The DNA is the will to succeed. When Mark Zuckerberg came to Nigeria his first stop was Yaba, the heart of Nigeria’s technology innovation ecosystem. He was kind of amazed by this vibrant place where young people in front of computers were trying to develop innovative solutions. He saw old women holding their phone trying to interact. He could see that people were building real products. And Nigeria is one of the biggest markets in terms of Facebook. Nigeria has a population of 170 million. Over 16 million Nigerians are on Facebook, that`s not even half. He just sees the potential. It`s also a test market for him. I think he went home happy. blog:subsahara-afrika: Zuckerberg`s second stop on his trip to Sub-Saharan Africa was Kenya. Tell us more about the topics and trends Kenyan and Nigerian startups are evolving around. Falayi: Kenya is very well known for mobile money. Financial inclusion in Kenya is massive, it has skyrocketed. This is not the case in Nigeria. Nigeria is a consumer market. The startup ecosystem started from ecommerce. Ecommerce in Nigeria has its challenges, logistics and last mile delivery is a problem. Because of the traffic a lot of people don`t get their goods in the promised three days. So startups begun to innovate around logistics. That is an opportunity. And then there is Fintech, Health tech and, of course, education. How can people get access to education without even going to classroom? How does technology play a major role in the delivery of contents? All innovations come out of necessity. Lastly, there is mediatech. Nollywood is one of the largest film producing industries in the world. After some while people had enough of physical distribution and asked where do we go from here with technology? There is a top startup called Irokotv, that is the Netflix of Africa. Iroktv has started to distribute African movie contents. Content distribution is the next big thing. 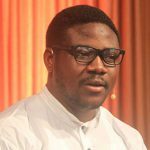 blog:subsahara-afrika: Jobberman co-founder Opeyemi Awoyemi said in a recent CNN article that “the next big thing from Nigeria will solve a key global challenge in one of power, clean water, health, inclusion or agricultural linkages“. Do you agree? Falayi: I totally agree. He said this quote when we launched a startup called FastForward, a joint venture between Passion Incubator and Venture Kinetics (owned by the founders of Jobberman). Any kind of software, of technology is a tool that can optimize and make other sectors effective. And that is one of the things that the Government is trying to promote. How do you infuse technology into other sectors to make it more efficient? How can you integrate technology into, for example, medical care to make it easy for a sick person to pick up his phone and send a text message, so the ambulance is right at his door step in two minutes? So yes, I think he is right. blog:subsahara-afrika: The next big thing could be one of the 30 top ideas, the DEMO Africa conference jury identified last year. The jury`s top choice was SimbaPay, a Kenyan startup, followed by Zuvaa and CarPartsNigeria from Nigeria. If you had to decide, what would have been your top startups? And why? Falayi: If I had to decide I would go for Zuvaa for two reasons. One, because Zuvaa is a female startup. Every time we do a call for applications for entrepreneurship 90 percent of the applications is male. We need to kind of encourage the female to fill the entrepreneurship space. The Nigerian female are strong, they are passionate, they just need that little push and encouragement. Going for Zuvaa would be my strategy to encourage young women to see the future, to see the possibilities out there. Second, Zuvaa is export. It`s an online marketplace for African fashion. I mean we are not really known for exporting African products to the global market. Zuvaa could encourage people to think beyond the local market. blog:subsahara-afrika: What is the role of incubators and early stage investors like FastForward? Falayi: As I mentioned earlier the Nigerian university system is not really build to support entrepreneurship. So you see young people coming out of university, very passionate, with good ideas, ready to go, but not equipped with entrepreneurial skills. That puts them into a position where they might eventually fail. The goal for Early stage investors like FastForward is to look at young entrepreneurs on campus and say “hey, if entrepreneurship is where you want to go let`s start early”. Incubators provide them with that little education, to back up their innovation with research. Incubators take their product, their idea to prototype, to test it and see if there is a real market. That`s the role of an incubator, to test the idea, to help young entrepreneurs to come up with a minimum viable product so that they can take it from there. It`s about education, access and support, not about money. blog:subsahara-afrika: One of your success stories might be Talking Bookz. Falayi: Yes, one of the startups in our first call was Talking Bookz. These guys were fresh out of school with a little bit of entrepreneurial experience selling oranges to make some bucks. One of them loves listening to music. So every time he had to prepare for an exam he asked himself why can`t I listen to my notebook on the stereo. That`s how he came up with Talking Bookz. When he came to the incubator we did a lot of research. We found out that this idea wasn`t going to fly, university students weren`t ready for that yet. People were interested in audiobooks, novels and such things. That`s how we invested in them. We are with them for three years now, they are doing fine now. Talking Bookz were amongst the DEMO`s 2015 top 30 ideas. blog:subsahara-afrika: We recently interviewed Christian Keller, the co-founder of Lagos based accelerator African Founders. He said a few nice things about Nigerians and their “amazing creativity”. What do you think might be the benefit of having a German partner in the Nigerian tech business? Falayi: Stereotypes are that Germans are hardworking people and efficient. The Nigerian entrepreneur is aggressive and passionate. But that doesn`t mean he his efficient and meticulous. If you combine German efficiency, dedication to hard work, and structured thinking with Nigerian aggressiveness and passion then you get a fantastic product out of this partnership. blog:subsahara-afrika: Does a fantastic new product, does an innovation always have to be disruptive? Germany is an “Old Economy”, that might explain why Germans have their problems with “New Economy” terms like disruptive technology. Falayi: From where I am from, the new economy, we believe in disruptive technology. See, Nigeria leapfrogged from not using landline to using mobile phones. Simply because there were almost no landlines. In Germany, you went the whole way from using landline to using mobile technology. In Africa, we need disruptive innovations to leapfrog, to go from A straight to D, to grow. blog:subsahara-afrika: Olufunbi, we thank you very much. Olufunbi Falayi is a Co-Founder of Passion Incubator, an early stage technology incubator. He is also a Partner at FastForward Student Innovation Fund and currently assumed the role of CEO at Leadspace, a co-working space, an alternative commercial real estate business that provide shared infrastructure for entrepreneurs and founders of small and medium size businesses, middle level corporate executives, freelancers and content creators. Contact: olufunbi@passionincubator.ng. Interview: Trotzdem bietet der Markt Chancen und wir müssen Präsenz zeigen! Dieser Eintrag wurde veröffentlicht in Allgemeines, Experten, Interview, Märkte und verschlagwortet mit Existenzgründung, Informations- und Kommunikationstechnologie, Kenia, Kommunikation, Nigeria von Stefan Enders. Permanenter Link zum Eintrag. 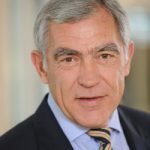 Hartmut Lühr, DAL Deutsche Afrika-Linien GmbH & Co. KG: "Bei Modernisierung von Häfen noch Luft nach oben"